LRA exists to help residents and members with information or advice. 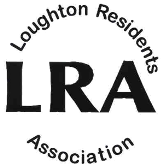 No personal contact information will be passed to anyone outside of Loughton Residents Association. LRA is not responsible for the content of external links.